In this blog series, you can discover more about the Editors-in-Chief of 4open. This week we’re talking to Professor Theodore Simos, who leads the editorial board for Mathematics and works with his fellow Editors-in-Chief on the broader development of the journal. 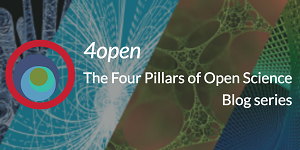 In this blog series, you can discover more about the Editors-in-Chief of 4open. This week we’re talking to Professor Elias Brinks, who leads the editorial board for Physics, and works with his fellow Editors-in Chief on the broader development of the journal. 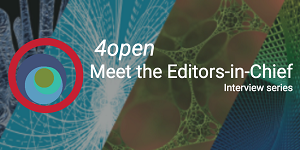 In this blog series, you can discover more about the Editors-in-Chief of 4open. This week we’re talking to Professor Björn Brücher, who leads the editorial board for Life Sciences and Medicine, and works with his fellow Editors-in-Chief on the broader development of the journal. Paris, France June 29th 2017- EDP Sciences, a learned society owned publisher, has announced the launch of a new multi- and inter-disciplinary Open Access journal: 4open. 4open partners with the Theodor-Billroth-Academy® (TBA®) and International Consortium of Research Excellence of the TBA® (INCORE) in this new launch. Professors Björn L.D.M. Brücher, Elias Brinks, and Theodore E. Simos will lead, as Editors-in-Chief, a truly international editorial board of over 130 members in 37 countries. EDP Sciences is currently in the process of recruiting an expert steering committee, which will guide 4open on strategy, scientific direction and ethics ensuring the highest standards of academic integrity. 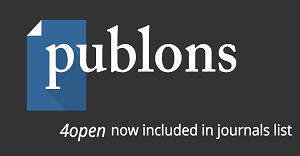 The journal is open for submissions and prospective authors are invited to visit our Instructions for authors for full guidance.